Une photo magnifique par sa douceur. Une luminosité extraordinaire, une composition comme on les aimes.Bravo! Absolutely inspired photography! I love your natural style! An absolutely superb photo! South America is next on my to do list. Terrific pictures. Great blog too. I will definitely follow on Twitter. 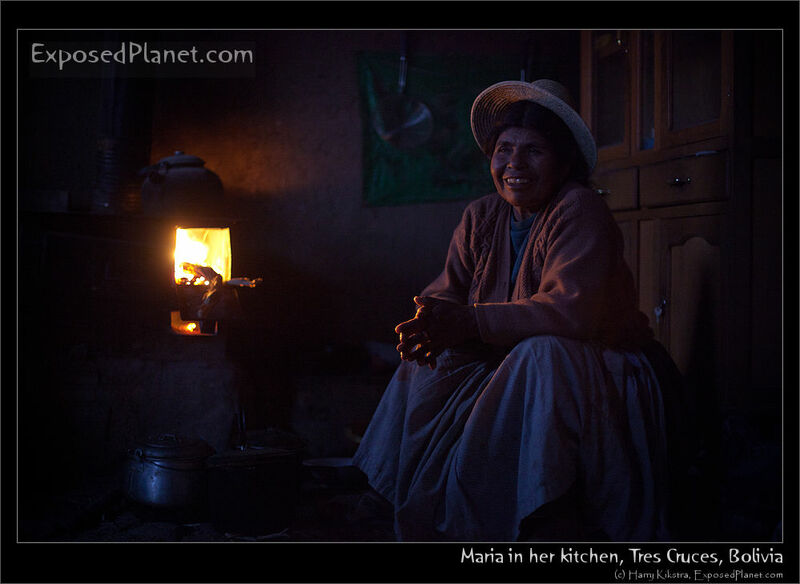 The story behind "Maria in her kitchen, Tres Cruces, Bolivia"
I think this is the first image I am posting that was shot at 3200 ISO, amazingly the Canon was able to capture this moment..
Maria lives in Tres Cruces, a small dusty town on the Southern shores of Salar de Coipasa, a large Salt lake close to teh more famous Salar de Uyuni. She is taking care of her grandchildren.